What does 2016 have in store for software defined WANs? The technology that underpins SD-WANs – i.e., the software that makes proactive decisions about which network links to send traffic to and more – is becoming a network staple for organizations that want a superior experience. Enterprises and service providers have been searching for ways to lower their WAN costs, improve the performance of mission-critical applications, and adapt to the spread of cloud computing for years now. As a result of the fast-paced flow of business, the high demands of both customers and end-users alike and the need for IT to do more with less, SD-WANs are poised for a commercial breakthrough in 2016. Traditionally, the resellers or VARs that work with WAN vendors have focused on supplying WAN acceleration and optimization (WAN OP) technology. WAN accelerators began as hardware appliances that used disk caching and compression to reduce transmission volumes and free up bandwidth. From there, software solutions started to take hold, offering extra functionality such as optimizations that corrected for issues in popular “chatty” protocols such as the Common Internet File System and Microsoft Exchange. 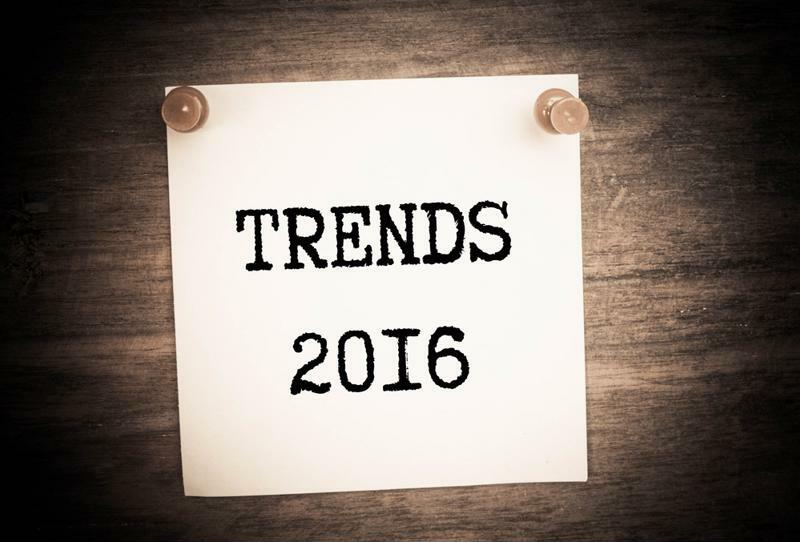 SD-WAN adoption is expected to be a major 2016 trend. While WAN OP still has a limited role to play in some enterprise networks, the reseller or VAR community is gradually channeling its efforts over to SD-WAN, making it readily available from reseller partners enterprises are already engaged with. WAN OP alone cannot ensure that WANs keep pace with surging end-user demand for bandwidth or provide the rock-solid reliability required by applications such as VoIP and video conferencing, or give IT pros the analytical insights they need to manage their service providers. It brings automation and self-correction to the WAN, adjusting in real-time to fluctuations in bandwidth demand and link availability. It can work with all-Internet or all-MPLS WANs, as well as hybrid WANs and WANs that have been extended to the cloud. It offers superior Quality of Service than traditional MPLS-based WANs, a critical advantage for supporting virtual desktop infrastructure, enterprise resource planning, etc. It provides near-instant failover that does not depend on routing protocols, meaning that sessions are not interrupted when a single link fails so that users don’t lose connectivity. Moreover, SD-WAN is available to enterprises in several configurations, depending on what they need and what infrastructure they already have in place. For example, it might be offered as a standalone solution or bundled with WAN OP appliances, unified communications suites and/or other managed services, as Talari vice president of worldwide sales Randy Schirman recently told Channel Partners. At the end of 2015, SD-WAN is still very much a frontier technology; IT research firm Gartner recognizes the SD-WAN as a “fast-evolving technology” and while they do not officially track it as a unique market segment yet, they anticipate total end-user spending on SD-WAN solutions could hit $50 million in 2016 and double again in 2017..
Gartner analyst Andrew Lerner pointed to the fact that most organizations really do not like their WANs, creating a huge opening for SD-WAN. What are the current headaches? Well, getting additional bandwidth often takes weeks or even months, while MPLS routinely costs hundreds of dollars per megabit per month, and WAN management in the distributed enterprise is overly complicated. For these reasons and others, Lerner predicted that around 30 percent of enterprises could have SD-WAN at their branches by 2019. As such, we might expect serious movement toward SD-WAN not only in 2016, but in the following years as well. SD-WAN has a bright future as a solution to some of the most pressing network challenges (real-time application performance, expensive bandwidth and network reliability) of the time. Have a listen to real world uses cases from four of the early adopters of SD-WAN technology in this Packet Pushers Podcast: Lessons Learned from SD-WAN Deployments. Gain a better understanding of what SD-WAN actually entails, why it’s beneficial and how organizations in a variety of different industries have used it to set a new standard in networking performance and resiliency. With an SD-WAN solution in place, your company can finally reach enterprise tranquility.